There are a few common boiler problems that boilers may experience – some can be fixed by yourself at home without the need of an engineer or any special tools, while others may need parts or adjustment that can only be made by a qualified engineer. Most issues a boiler may have are difficult to possible to diagnose with a glance, with problems such as poor heat maintenance, noise and unreliability being the only signals that there could be something wrong. A good way of checking if your boiler has any issues that are currently small is by taking a look at the water pressure on the boiler. Loss of Pressure – Your boiler will work at its optimum level only if the water pressure is made constant. Most modern combination boilers will be pressurised with the water entering its system from the mains cold though a device called the ‘filling loop’. Any loss of pressure in a modern combination boiler therefore can be fixed by adding water through the filling loop to the system. Water Leaks – Water leaks can be very small at first, and cause a loss of pressure in your boiler. Checking the pressure on your boilers pressure gauge is a good idea to keep abreast of any possible water leaks in the system – as small leaks often evaporate quickly and are therefore hard to find, but can develop into larger leaks. The correct pressure of your boiler should be between the 1 and 1.5 level, it should never drop below 0.5 or be found rising about 2.5. Topping up the filling loop, which should be close to the boiler itself will re-pressurise the system again if it drops too low. Blockages – These can be detected by a loss of heat or water through parts of the system, or by an abnormal pressure reading on the boiler itself. Fixing these should not be attempted by someone without a Gas Safe Registration or with respect to condensing boilers without the necessary experience. If your boiler develops a fault that you feel you cannot repair or want to be safe and have someone take a look at it, then the first thing you should do it contact a qualified heating engineer. Once you have established the exact problem with your boiler, it may be wise to shop around reputable engineers for a quote and parts to repair it. When choosing an engineer, as well as it being vital that they are Gas Safe Registered, be sure they have plenty of experience in repairing your type of boiler (look up the make and model number of your boiler and ask engineers if they have worked on the common boiler problem your boiler is experiencing before) as well as doing some research either among friends or on-line on the reputation of the engineers in your area. 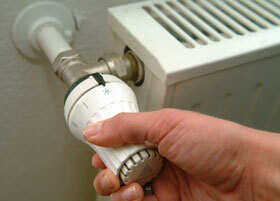 Then if the boiler is not repairable you may need to think about having a new boiler installed. By law, all new boilers must now be high-efficiency condensing boilers unless it is too difficult or too expensive to fit one. Condensing boilers capture the heat that is normally lost by traditional boilers and reuses it. This means that a top of the range A-grade boiler could have as much as 96% efficiency. Combination (Combi) boilers have become the best selling boiler type for gas central heating in the UK. They are small; fitting into cupboards, and very economical to run. And because they heat water directly from the mains, you don’t have to wait for water to heat up - and your stream of hot water will be endless. They are more economical than other types too. Because combi boilers don’t use an external hot water tank, there is no cylinder to heat first, and no need to reheat the same water again if you’ve let it run cold. However, for this same reason - the lack of a hot water storage tank - your nice hot shower will be interrupted if anyone else starts running the hot water in your home at the same time. Is this the right boiler for me? If you live in a small house or flat, without multiple bathrooms, or are short for space then a combination boiler will be an excellent choice for you. If you currently have a cold-water tank in the loft but want to convert your loft space into an additional room, swapping your old boiler for a combination boiler will eliminate the need for the tank, and free up more space. A combination boiler is the only way to have instant, on-demand hot water in your home without the inconvenience of having to wait for the water tank to be heated and you’ll also get drinkable water from every tap. A system boiler (also known as a closed or sealed system boiler) works on the principle of stored hot water. This means that you will need an airing cupboard or other space for the hot water storage tank. Although a tank is needed in the airing cupboard, a system boiler still needs less space than a traditional open vent or heating only boiler, which utilises a second tank in the loft. Also, many of the individual components of the heating and hot water system are built in, which means that installation is quicker, neater, easier and more efficient. With a system boiler you can run hot water from a range of outlets simultaneously, without someone else’s shower running cold on them. You will also get good water pressure. A system boiler is a great choice for a larger home or family with hot water needs that can’t be met by a combi boiler, but who want to keep loft space free. You will need a tank in the airing cupboard though. However, you’ll have to wait for water to be heated when you want it, and it could run out if it’s used too quickly. Many people with older systems such as open vent boilers choose an unvented sealed system for their central heating and hot water. Although it is more expensive than simply replacing your boiler with the old system, you will be able to free up more space in your home. An open vent boiler is the existing system in most people’s homes. This type of system uses two water tanks, both located in the loft, and a hot water storage cylinder in the airing cupboard so it is very space hungry. One tank draws water from the mains supply and feeds the storage cylinder which, when heated by the boiler, can release hot water to taps all over the house. The second tank is the feed and expansion tank which contains the correct level of water for your heating system, allowing for water expansion when you turn the heat on. Showers, taps and running baths can be drawn in any room at the same time, but be aware that if the cylinder should run cold it will take a little time to reheat. Many people switch from a traditional open vent boiler to an open vent sealed system boiler. This is a relatively cheap switch to make and will cut the need for one of the tanks in your loft. Because it’s the existing system in many people’s homes, an open vented boiler is inexpensive to replace and making the switch to an open vent sealed system is also relatively cheap. However, both these systems use up loft space. Like system boilers, open vent systems allow you to run hot water from a range of outlets simultaneously, without the water running cold elsewhere in your house. The water pressure is low though, and you’ll only have drinkable water from one outlet, because it uses a storage system. The hot water might also run out, and you’ll have to wait for it to reheat. Some homes still use back boilers, which are hidden behind a chimney, with a fire front to cover them. If you don’t already have this system then it’s not going to be a first choice for you as the water pressure is low, it is very space-hungry and you’ll need somewhere to hide your boiler. However, if you do already use a back boiler, then it might be the best option for you when the time comes to replace it. Traditionally, back boilers are not very efficient, but great improvements have been made over the past 5-10 years, so by replacing your old back boiler, you could make huge savings on your annual heating bills. Back boilers provide reliable heating and hot water, and allow you to draw hot water from more than one tap at the same time, without affecting other outlets. However, they need a lot of space - the boiler hidden behind your chimney, two tanks in the loft, and a cylinder in the airing cupboard. Few people will consider a back boiler unless they already have that system in place as other, newer systems can easily handle the demands of a large home without taking up as much space. But if you already use a back boiler, you’ll save a lot of money by sticking with the same system when the time comes to replace your boiler.